Any clock that has cable , chains or rope to drive the movement ends up here to be tested . Could be Howard Miller , pearl , Colonial , Herchedee , Sligh , Seth Thomas and many more . 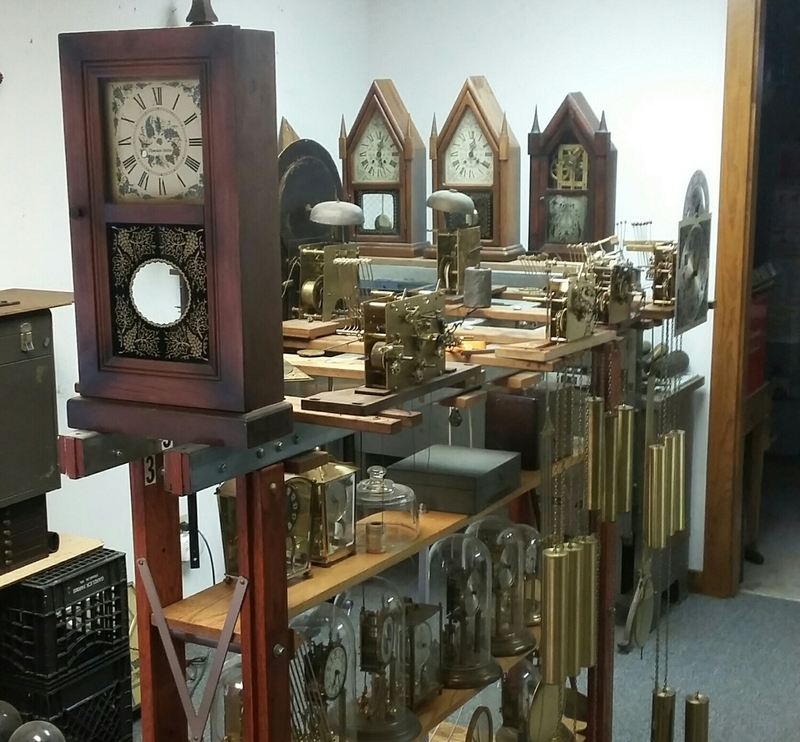 Antique grandfather clocks all get tested on the rack . Wall clocks , out of their case , get tested here too .